Working in 2018 inevitably means working with the internet, and with it comes working with internet slang, abbreviations, and acronyms. If you didn't grow up with internet-enabled devices, especially if it was the time before smartphones, you probably aren't even aware of just how many acronyms are used today on the internet. To further muddy the waters, you also have the heaps and heaps of industry-specific jargon. 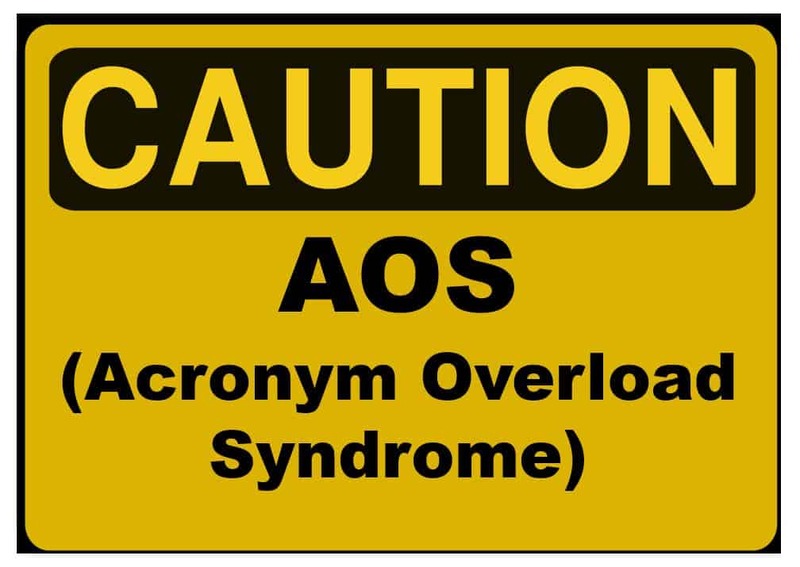 Acronyms are a necessary evil, as they help people to convey ideas in less time. The implications of taking less time to communicate are endless and could mean more productivity, more efficiency, or even extra time to do with as you choose. Sure, it could be argued that acronyms increase the likelihood of miscommunications, especially when they might not be as commonly used—but that's the reason for this article—to help you understand some of the more (and less) frequently used acronyms on the internet, and in the industry of internet marketing. An acronym is a word, name, or identifier formed as an abbreviation from the initial word components (from Greek akron "end, tip" + onuma "name"), whether from letters ("LOL" ⇒ "Laugh Out Loud") or syllables ("Gestapo" ⇒ "Geheime Staatspolizei"). Basically, they are frequently (but not always) a shorter way to convey a point or give somebody information. I say not always because of one particular example, although I'm sure there are several. Think about the phrase "World Wide Web," and then it's abbreviation "WWW." Saying both aloud, you'll easily hear that "World Wide Web" takes fewer syllables, and therefore less time to say than "WWW," but I digress. Before I continue, I'd like to point out that you could argue that "LOL," and probably several of the other acronyms discussed below, are technically initialisms. Initialisms are very similar to acronyms—the difference being that initialisms aren't said as words, but rather as the letters that comprise them ("L-O-L" instead of "LOL"). I'd agree with you, but since the goal here is to inform about the definitions of them, rather than the syntax and technicalities, we'll move on. The "B2X" initialism almost always denotes a transaction between a business and another party. You commonly see "B2B" as an industry term, meaning that a business sells, markets, or interacts with other businesses as its primary form of contact. Internet marketing companies almost always offer "B2B" services, including things like web development, search engine optimization, and more. "B2C" is the other popular initialism in this category, and it just means that instead of primarily interacting with businesses, they interact with consumers. An example of a B2C company could be Walmart, as most of what they offer are consumer-level products (to consumers). This initialism is honestly the one you'll hear in our industry the most. It's definitely become a marketing buzzword, and honestly, it's with good reason. Search Engine Optimization is the process of optimizing your website's pages, and meta information to rank well when coming up in searches. From page content, to meta information, to layout and user experience, basically every aspect of your pages is taken into account when determining how good your SEO is, and it's something that we focus on heavily when designing and developing websites. Related to SEO, a Search Engine Results Page is the digital page in which search results appear. The idea behind optimizing SERPs is to ensure that your SEO is working well to increase your presence on these pages. Generally, SEO and SERPs go hand-in-hand, and optimizing your website for your specific industry, products, or services gives you the edge when discussing your SERPs. "PPX" initialisms refer to an internet marketing concept of paying for traffic of some sort. The most common, in our experience, is Pay Per Click, which usually refers to Google Ads. PPC is the process of bidding on search terms so that when someone searches for that term, your link comes up as an advertisement in the SERPs. This generally produces higher traffic to your website, and the cost of somewhere between pennies and dollars for that click-through. Pay Per Sale is a similar concept, which generally means that you pay your marketing company a commission every time they bring you a sale. Pay Per Lead is basically PPS, except the value paid is usually lower because your company is responsible for closing the sale rather than the sale being handed to you. "CPX" initialisms are related to the "PPX" initialisms and track similar metrics. Cost Per Click simply refers to the amount of money you're paying for a PPC campaign (per click). Cost Per Sale refers to the amount you're paying per sale that the marketing company brings to you, and Cost Per Lead is the amount you're paying per lead brought to your company. This is a big one for us at Armor. A Content Management System is a platform for managing online content, usually in the form of web pages, blog posts, etc. We've developed our own CMS, which many of our clients are using called ARROW, but there are a ton of popular ones like WordPress, Drupal, and Shopify. The goal of a CMS is to make managing, updating, and changing aspects of your website and your internet marketing a breeze, and it can help to solidify your online presence. Customer Relationship Management is a concept of monitoring and maintaining relationships with customers, past, present, and future. The goal of CRM is to let your customers know your business or brand exists and is continually evolving to meet their needs. CRM is commonly used to refer to a software that assists in doing this management. Generally, things like the customer's details, contact information, and a trail of interactions with that customer are all part of CRM. Using this information, along with demographic patterns for interaction and buying, leads to the ability to know how and when to reach out to a customer to see if they need anything else provided by your business or brand. Hypertext Markup Language is the language of the internet. All web pages (including this one) use HTML to tell your browser how to understand and do a basic layout for the information on the page. HTML is made up of "tags" that further categorize data, including the <header>, <footer>, and <body> tags that contain the core of the display information on your website. We use HTML to develop each and every website on the internet in some form or another. Cascading Style Sheets are the designers of the internet. These are documents (or portions of code) that tell your browser how to actually display the HTML that builds out your website. From typefaces, to colors, to shapes, CSS does the majority of the designing of your website to make it aesthetically pleasing. In modern implementations, CSS is the reason that websites can work on a range of devices and screen sizes, from your desktop computer to the mobile device in your pocket. This is arguably the hottest buzzword in the internet marketing realm of the last couple of years. A Call to Action is the idea that there should be some element on your marketing, whether it be your website, print material, or something else, that instills a need in your consumer to do something. An example of this is a button on your website labeled "Call Now For a Quote"—the language used tells the user about the value they will receive if they perform an action. CTAs are becoming more important as we move through the digital age of marketing, and they are a must when it comes to using a website or social media as your internet marketing service. The Domain Name System, and the records tied to it, are the reason that the internet works the way it does today. The DNS records tell the internet how to find your website or several of the services (like email) that could be tied to it. The core functionality of DNS is matching your Domain Name to the IP Address (Internet Protocol Address) that is associated with it. These records are understood and saved by the authorities of the internet periodically, so changing them can sometimes take upwards of 48 hours to take effect. I'm not sure if you've noticed, but a good chunk of internet marketing revolves around social media at this point. From Facebook advertising, to engaging with followers on Twitter, and posting a high-quality photo on Instagram, just about every popular social network has become a platform for marketing and sales. Social Media Marketing is simply the premise of actually utilizing these networks as marketing and sales funnels to convert followers into leads, and eventually, into customers. A User Interface is a relatively easy concept to explain. Simply put, it is the interface in which a user interacts with a piece of software—like the page you're looking at here on our blog. From the position of the elements, to how the text is laid out, all of these things put together create the UI. A User Experience is a much more abstract concept: it is the overall quality of the interaction(s) that a user has while using your website/software. The overall user experience usually correlates to how long visitors are on your website, and how willing they are to navigate it and use the features available. A Universal Resource Locator is something I have to believe everyone reading this is familiar with—you probably clicked on one to visit this blog post! URLs are just a label for a resource (generally an IP address) that is understood by a server so it can show you the correct results. Sometimes URLs are also referred to as Domain Names, although this isn't completely accurate. Domain Names are a portion of the URL (armortechs.com is the domain name, https://www.armortechs.com/ is the URL). 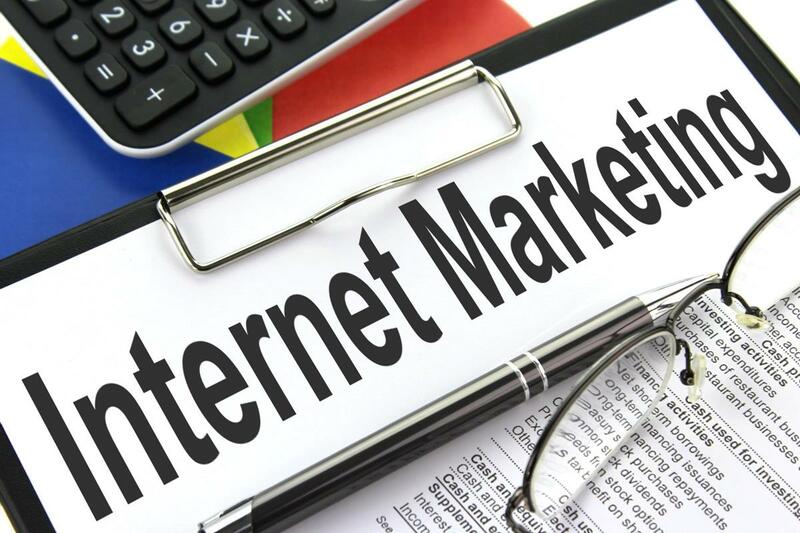 I hope that this post was informational and helps you to understand some of the lingo and slang that goes into what we do as an internet marketing company every day. If there are other abbreviations and acronyms you'd like to see added to this post, or in a future one, please let us know below or on our social media posts for this blog!